Memories live within us all. We dream of our loved ones, of our experiences, and we even dream of dreams and other worlds. 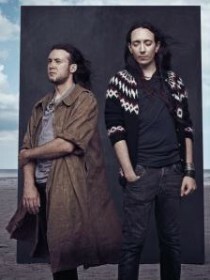 When Neige, the mastermind behind ALCEST, is dreaming his dream, the end result is so much more than fitful sleep. He lets us partake of his "Souvenirs d'un autre monde", of the innocence of childhood, a personal Elysium – and this Elysium is radiant, emerald green, luscious, and all the fresher the deeper you immerse yourself in it. 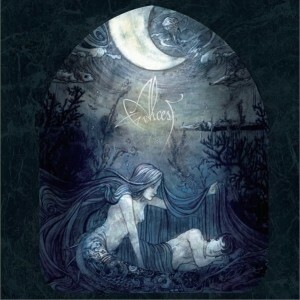 "Écailles de Lune" is different, though, as ALCEST are moulding ambivalences on this album. "This story isn't really a metaphor of death, as it would seem to be. For me, it is about a man who decides to leave one world for another one, literally. Like a passage to another reality, another state of existence," Neige says about the album concept. "This time I was especially inspired by the seaside, the energy and the exaltation you can feel when you sit in front of the sea at night. It appears terribly fascinating, full of secrets and scary at the same time." Stylistically, Neige reverts to the sound of Black Metal that once shaped him: a picture of heart-rending, otherworldly screams, collages filled with passion and sadness, and the characteristic clean vocals. These mellow and ageless voices manage to weave a shroud of sorrow around the album. "Écailles de Lune" is like a dream, a manifesto of transience and human inferiority. For all the changes, Neige has kept all of his trademarks: calm passages, massive slabs of guitars, catchy melodies, and hook-lines going straight to the heart – all this once more delivers a convincing articulation of ALCEST's unique style. Close your eyes and dream along. This time, melancholy shall propel and unite us. We immerse ourselves once more in fairyland. This time, it doesn't seem fresh but fallow. Its pallor und its shadows are unfathomable, and it reveals itself to us through our senses. It is always there when we quest for it.